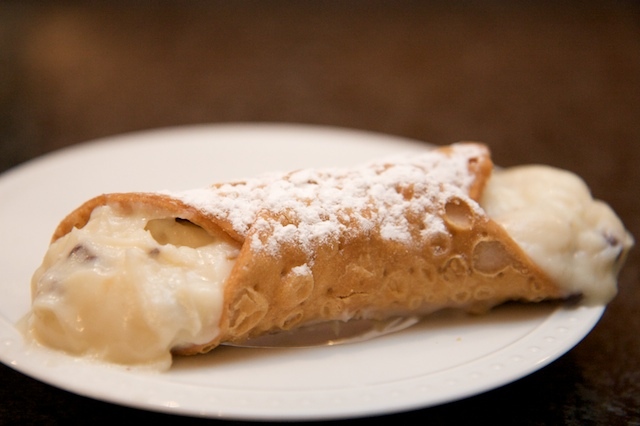 Photo: Stephanie WebsterHands down, my favorite dessert is the cannoli.It always has been. As a young child, my family used to drive downtown in New York City to Ferrara’s Bakery on Grand Street, or Veniero’s Pastry Shop on East 11th Street for their dreamy, creamy creations.As a teenager, my father would stop at an authentic Italian restaurant in Queens named The Family so we could pick up a dozen of their homemade perfect gems to share with my dorm mates back in college. When I moved out of NYC, I wondered if I would ever locate a worthy local contender. When I happened upon the cannoli at Tutti Invitati, right here in Westport, I couldn’t believe my luck.It’s crisp shell is light yet buttery, providing the perfect balance for the rich, sweet, creamy filling, with mini chocolate chips scattered on top.If I close my eyes, their cannoli has the power to transport me back to my childhood memories of walking through the narrow streets of New York’s Little Italy, holding my father’s hand.And all this for a mere $4.50 – what a fabulous find!